Michael Jordan dominated the NBA unlike any other. Whether it was the 80s when he put up monstrous numbers or the 90s, when finally having been given an able supporting cast, he ripped through the league and won 6 titles. He probably could have won MVP almost every year at his peak but he didn't. The seasons that he did win it though, there was little to no argument that he deserved it. Today we decided to try and rank his 5 MVP seasons. This was a slightly weird one. 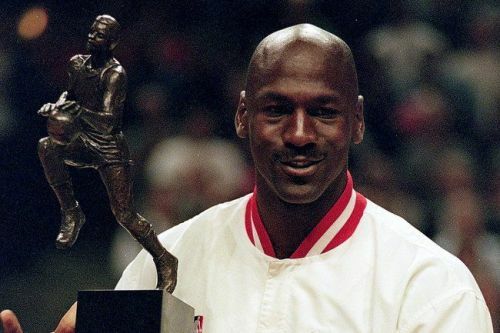 I can probably pick 5 seasons when Jordan didn't win MVP but they were better than this one. 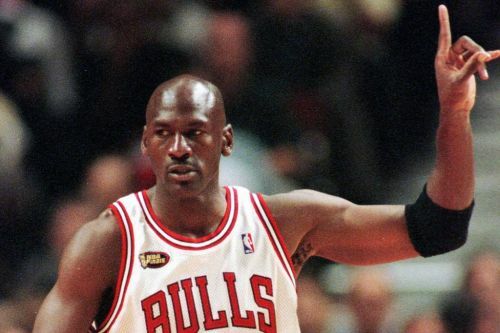 MJ dropped in Points, Rebounds, Assists and FG % from his previous campaign and the Bulls even won fewer games. So why he didn't win it in 1997 is somewhat baffling to me. Regardless, he still led the Bulls to 62 wins and the Number 1 seed in the East along with the joint best record in the NBA. His 28.7 Points a game still led the league, but he shot just 46% from the field, one of the lowest marks of his career. His scoring did pick up come playoffs, as he scored 32 a game, as the Bulls advanced to their 3rd straight Finals. We all know what happened in the Finals of course. 45 Points in Game 6 and that iconic game-winner over Bryon Russell to clinch his 6th and final title. As I said before, this was probably Mike's least impressive MVP campaign. The lowest scoring average, FG% and one of the lowest assist totals of his career. He still ran away with the award though, 92 1st place votes to 20 for Karl Malone who came 2nd.